The Indian team to IOI-2003. Question papers from INOI-2003 and ZIO-2003. 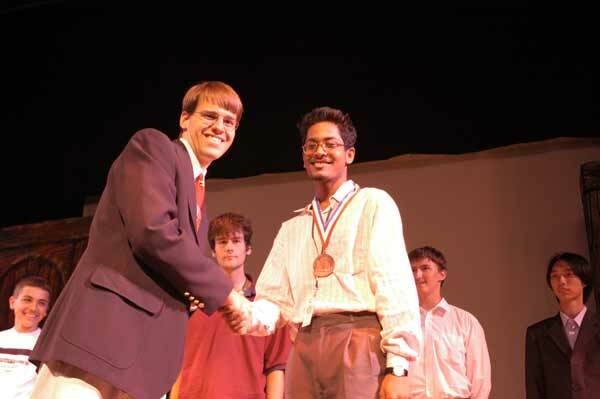 The International Olympiad in Informatics, 2003 (IOI-2003) was held at the University of Wisconsin-Parkside, USA in August, 2003. 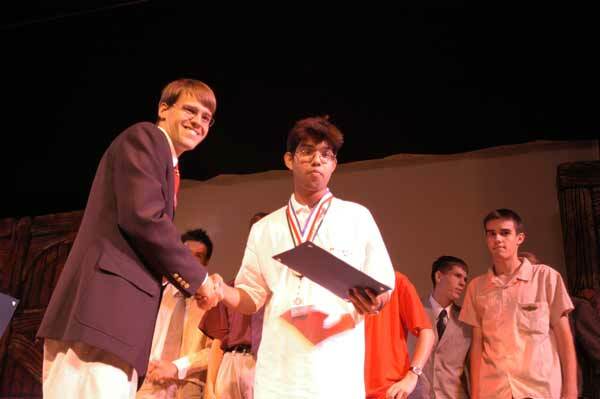 The three students who represented India at IOI-2003, Ishan Behoora, Swarnendu Datta and Indraneel Mukherjee, all won bronze medals. Unfortunately, the fourth member of the team, Kshitij Bansal, was not able to travel to IOI-2003 because of an injury. The Leader and Deputy Leader of the Indian contingent were Prof Madhavan Mukund, Chennai Mathematical Institute, Chennai and Dr K Narayan Kumar, Chennai Mathematical Institute, Chennai. We thank all the organizations that have supported the Indian National Olympiad in Informatics in 2004. NASSCOM provided full financial support for the team's trip to IOI-2003. Sasken sponsored the 16 day training camp from 15-30 June, 2003 in Bangalore to choose the final team. 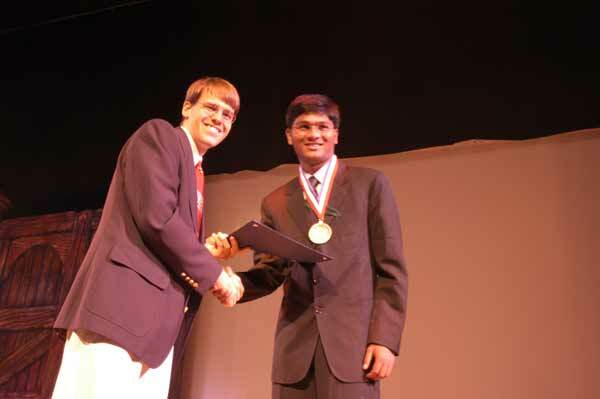 Picopeta Simputers Ltd offered to award a Simputer to any student winning a gold medal at IOI-2003. Here is the official team picture. INOI-2003 was held on Wednesday, 30 April, 2003. 21 students qualified for the final training camp. ZIO-2003 was held on Sunday, 5 January, 2003. 120 students have qualified from ZIO-2003 for INOI-2003. Question paper, solutions and testdata.